This is an INCOMPLETE PSA for the Pokemon Kecleon. 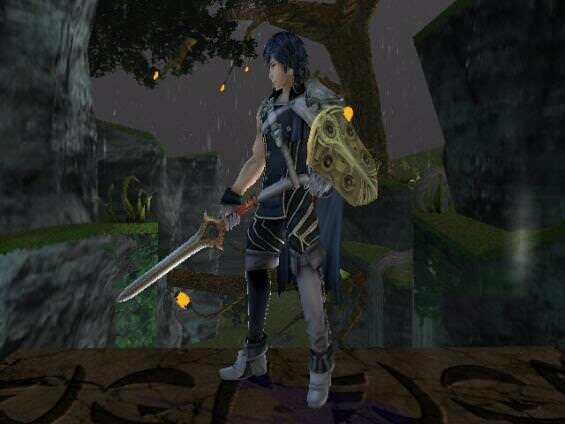 The reason I am releasing this is because I would like if another modder picked this up and continued working on him. 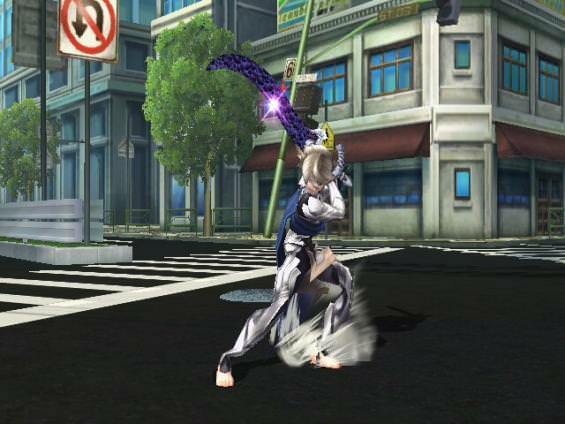 Because I am so busy with Sonic Duel I won't get time to work on any mods that aren't Sonic related. If you do not know how to work with bit variables & model changers, continuing this project may not be for you. It's finally here! After meticulous on and off work, a sprinkle of laziness, and excessive tweaking, Mike is finally released. 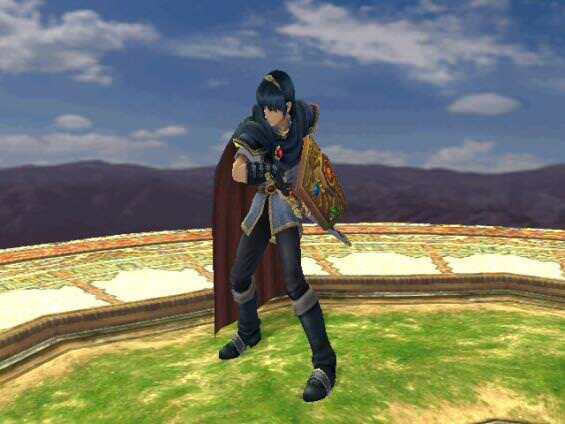 Comes with all cosmetics, BPs, stocks, and CSPs, generated with CSProject's amazing templates (Marth is using Ike's render pose), as well as moveset PACs preloaded with the golden sword trail for vBrawl and PM. 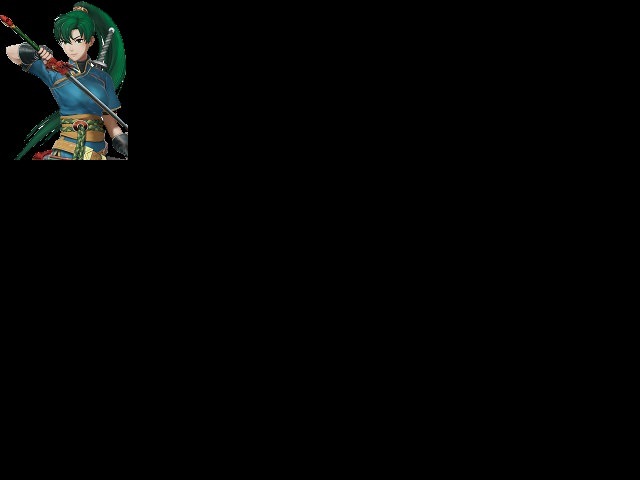 This was intended to add on to BRSTMason's Lyn. 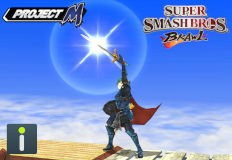 I noticed that there were no CSPs, BPs, or Stock icons. 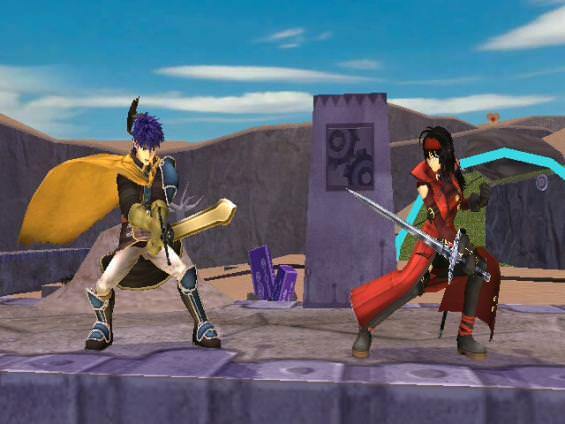 Now includes 5 other recolors, CSPs, BPs, Stock Icons, sounds, Character Selection Screen. 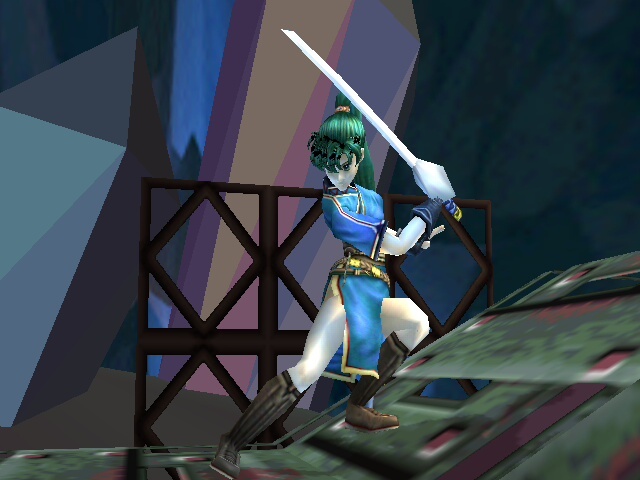 To use Lyn over Marth, you'll need Brawl Costume Manager and Supersawndz. Moar mediocre import time! 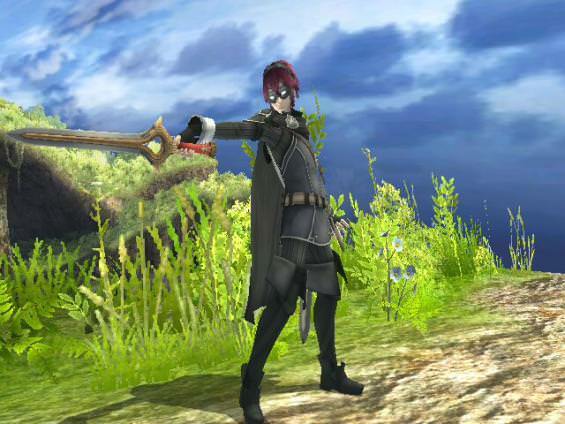 Like Navarre and Wedding Marth, I lazily used ingame things for cosmetics. 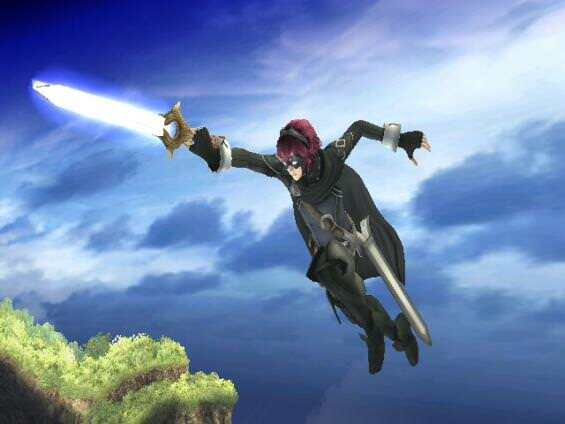 Has two 'costumes', Fighter with Royal Sword, and Hero with Falchion, there are also flipped versions of the two if you like your Alm to be a lefty. 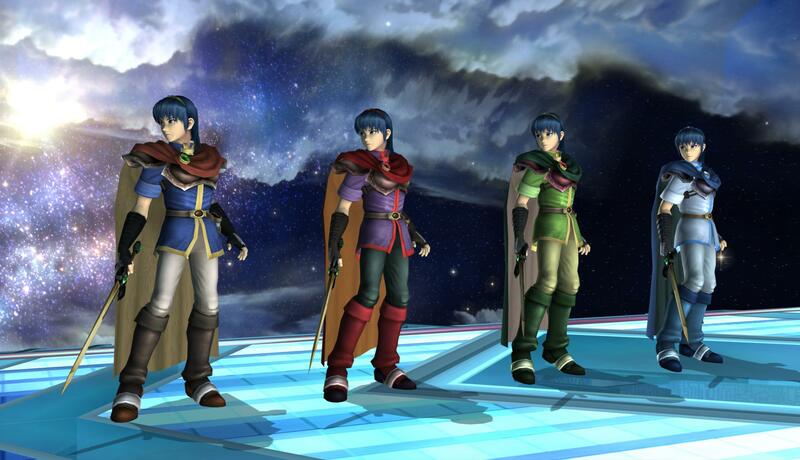 No voice like I did with Navarre, though it should work over both Marth and Roy things as is. Mediocre import time! 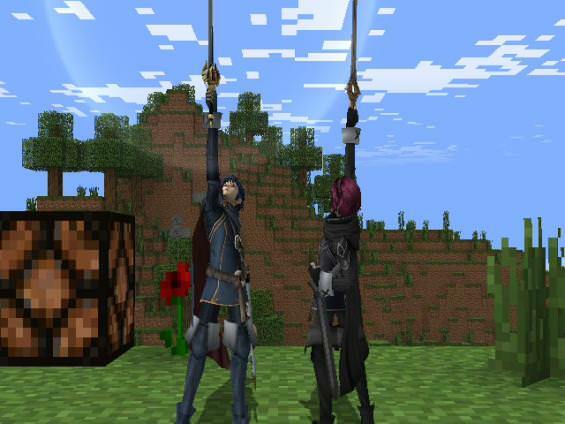 ...As with Wedding Marth, I was moderately lazy and just used the actual FE Warriors render for things. 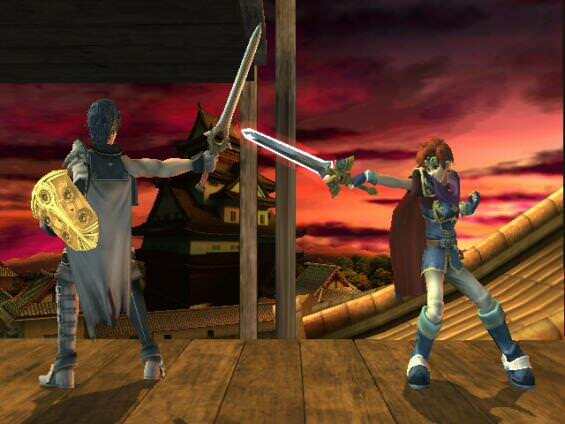 I wanted to add Celica to my build but unfortunately, Only the 3ds model was rigged and it doesn't look that great in brawl. 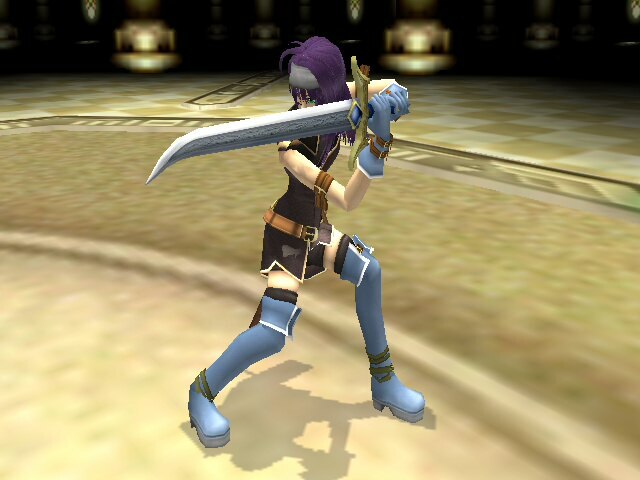 Thankfully Most of Celica's textures from both versions of FEW are very similar so I took the time to revamp all her textures except her face and sword, Enjoy! 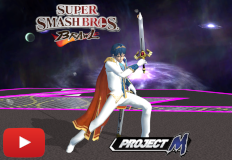 Lime Marth by jetfantastic with credit to CSBR's CSProject for cosmetics. 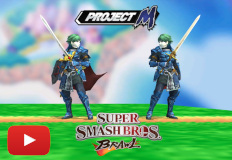 Sweeten up your game with this Lime Marth costume. Includes Vanilla CSP, BP, Stock icons and CSProject alternatives. 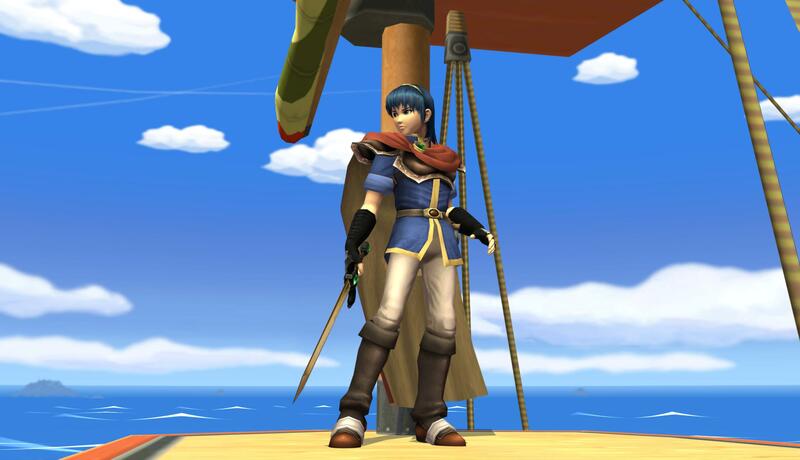 Simple model/texture replacer for Marth with the default Marth color from N64. 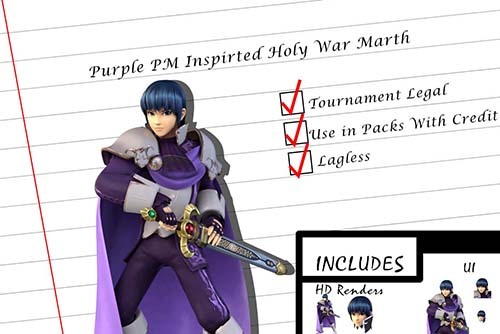 I loved the Purple Skin that Project M added for Marth, but I personally prefer the Holy War costumes they added. 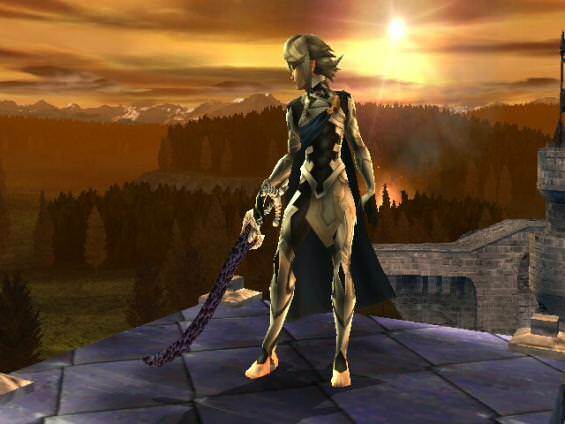 As a result, I did my re-imagining of that skin as a custom costume. 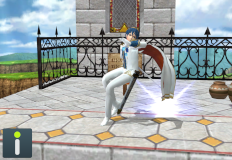 This costume is tournament viable as it's just a retexture of the legal Holy War Costumes as mentioned. 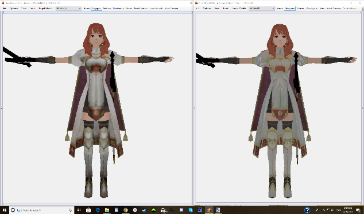 Broken armour version only, was originally going to do the proper dress model, buuut seeing as I wanted to get it all down in 3 days or less this is all I could get done, that dress is definitely glitchy and troublesome. if someone else wanted to have a crack at it i could toss the files, but i want to get back to it at a later point myself, haha. Anyways! 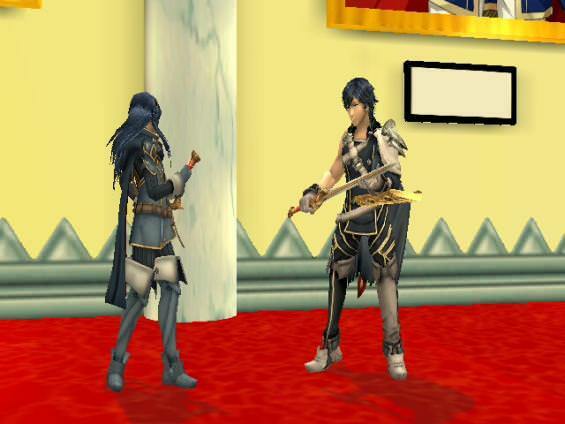 Has two versions with two variations each, one version is for regular Lucina, the other, for my particular Lucina, the variations are with a ribbon and one without, the ribbon was done just for fun and 'cause I think it looks absolutely adorable. LOOKS SO MUCH BETTER THIS TIME! If you played M.U.G.E.N., you maybe know who is him (And you might notice that i changed the design a little bit)! Martín Bravo! A OC by "Maavo!" 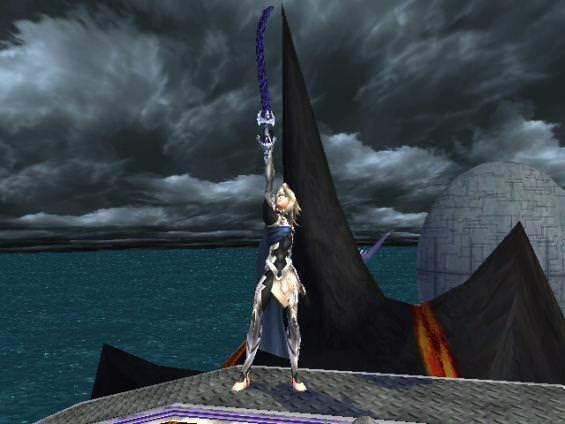 or "MaavoTheHuman" (AKA: Me) is now on Smash Brothers Brawl! Oh goodie. another mediocre import from this idiot! .zip variation, only difference is the file it's archived in. 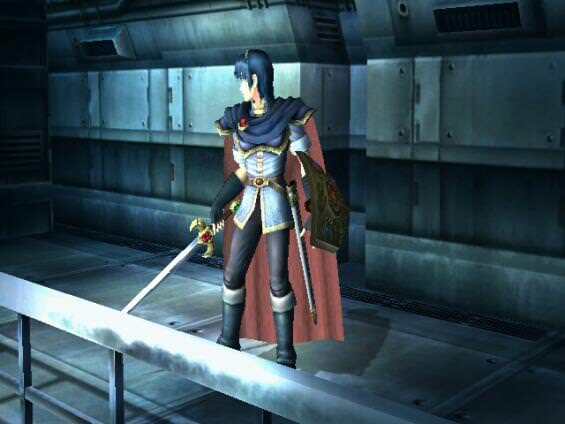 Marth's blade creates his destiny, and he heeds the call to battle! 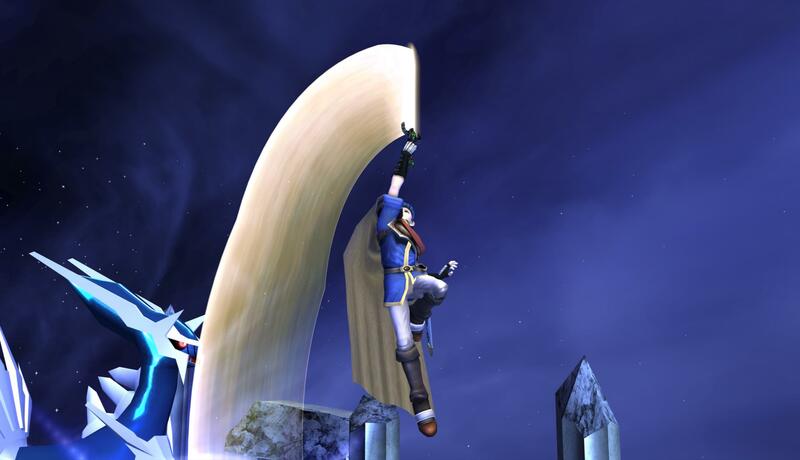 Entrust your fate to his sword, and cut a path to victory! 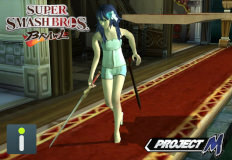 A random blue recolor of jacketless Mia that I made. 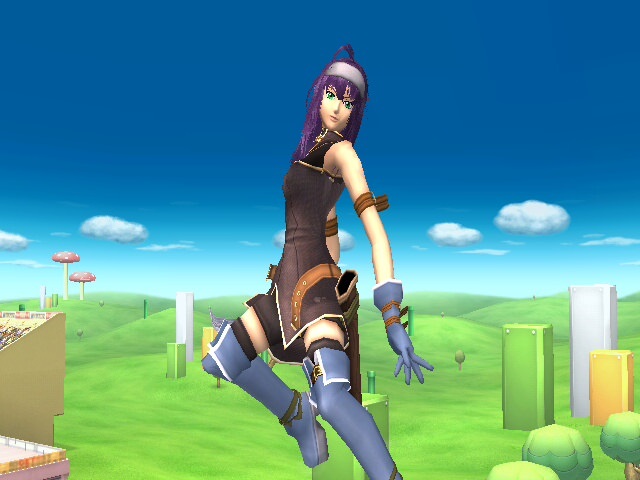 I took the sleeveless arm texture from one of the other Mia recolors and turned all the purple on her clothes into blue. Comes with pac and pcs. 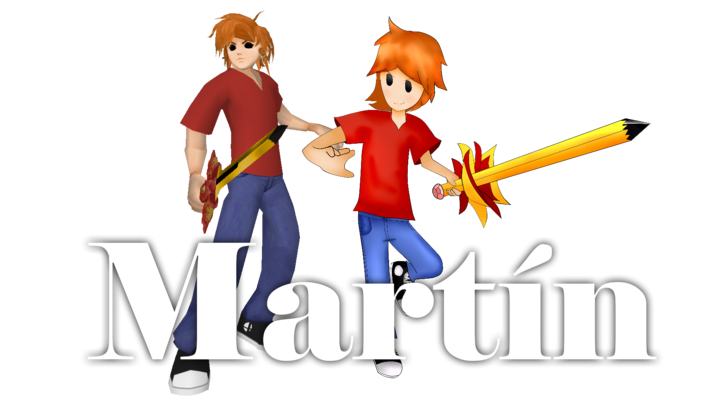 Martín Bravo by Maavo, ⚠WARNING⚠ with credit to ⚠WARNING⚠ Because he made the textures! Thx Bro! 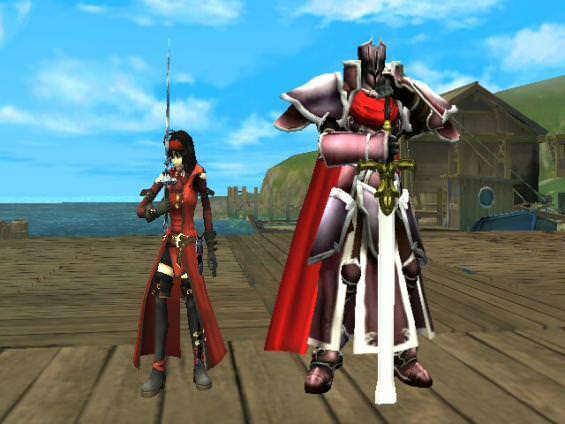 And credit to WindHunter7 because of the original mod! Thx! If you played M.U.G.E.N., you maybe know who is him! 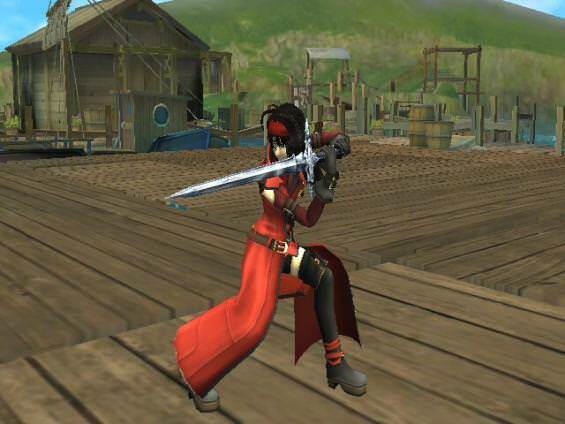 It just have some problems with the sword, but the game dosent crashes, so its okay. A huge thanks to ⚠WARNING⚠ because of the textures! And a very huge thanks to WindHunter7 because of the original mod! 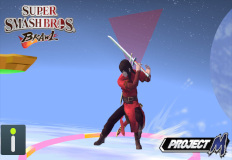 I just edited a little bit the hair to look more like Martin and less like "Roy"
Marth decked out in a scarlet red outfit, the perfect colour to soak up the blood of your enemies. 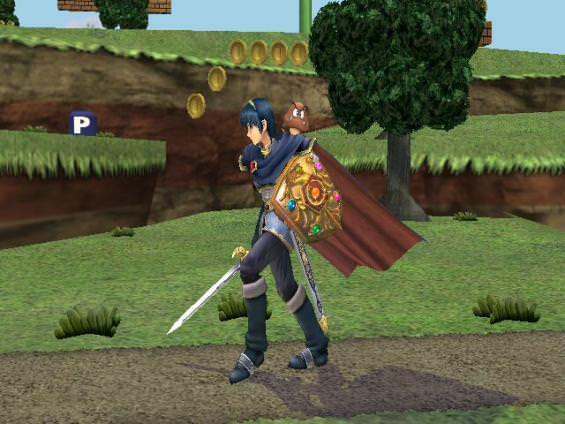 This colour was originally seen in my Smash 3C Brawl Marth entry. 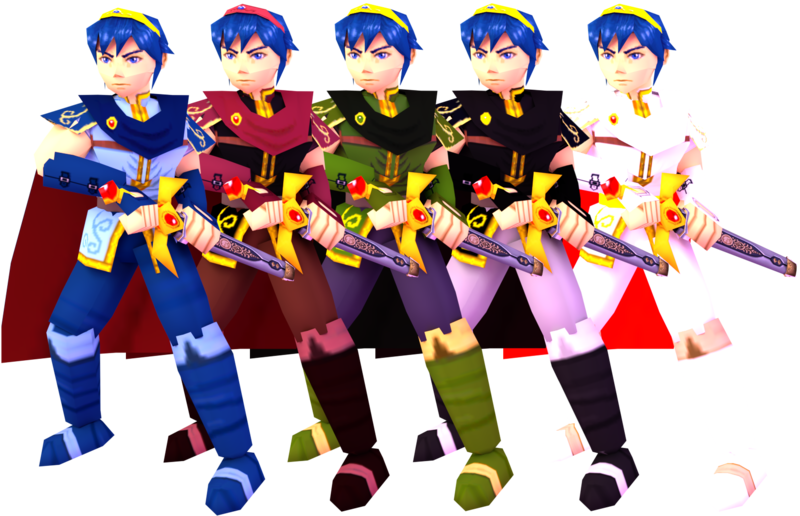 This pack also comes with render assets from the Cosmetic Standardization Project. 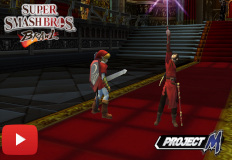 Edit: Oh yay. Finally able to take screenshots. 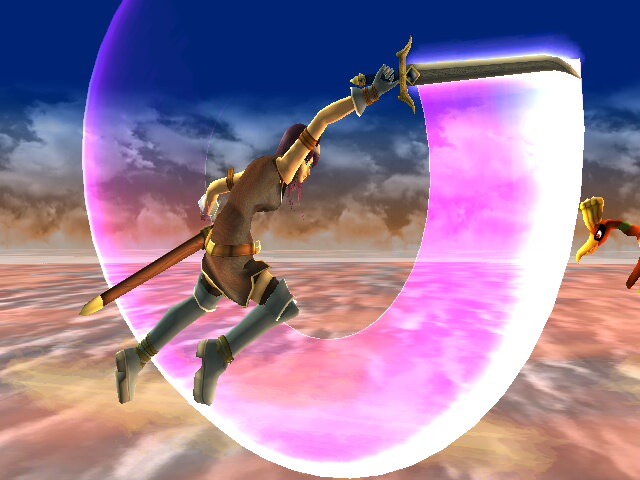 Really, like Linkle and Navarre model thingys, this is just a bit of an aside. since part lazy and part too annoying to get done currently, only video thing, even though voice/PSA doesn't come with this and such. uh... enjoy? Page created in 0.822 seconds with 136 queries.